#1 - Victory over the dishwasher. 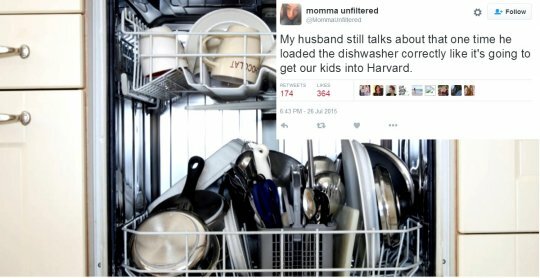 Look, if all the dishes are in the dishwasher, that means it was loaded correctly, right? I mean, it’s not like I broke them and threw them in there. They’ve all been placed in one of the slots. Surely, that must count, yeah? English is such a versatile language. Why, right here, these people manage to communicate an entire command with just one little word. Aren’t preconceived expectations so much easier than actually telling people what you really want? The saying “it’s always in the last place you look” is ridiculous. Of course it’s always in the last place you look. Once you’ve found it, you stop looking. Then again, it seems half the time it’s also in one of the first places you look, and the second you ask for help is when it becomes blindingly obvious where things were to begin with. #4 - A steady routine is important. Helping one another out is a key part of any successful relationship. Even if the only way you manage to help people is by asking the same question over, and over, and over, and over and over again. #5 - Love is coming up with an alibi. 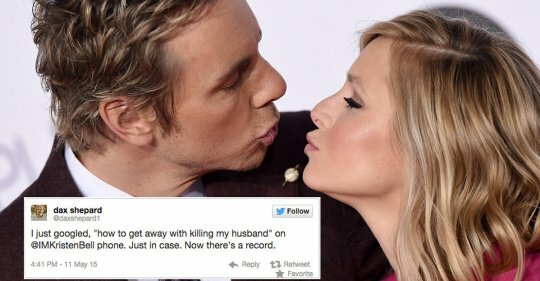 There will come days when you’re so frustrated with your spouse that you’ll feel like you want to kill them. With a little forethought and some creativity, you can create the perfect alibi for just such a situation! #6 - Remember, specificity helps! There’s something about married life that brings out the internal wise-aleck in everyone. 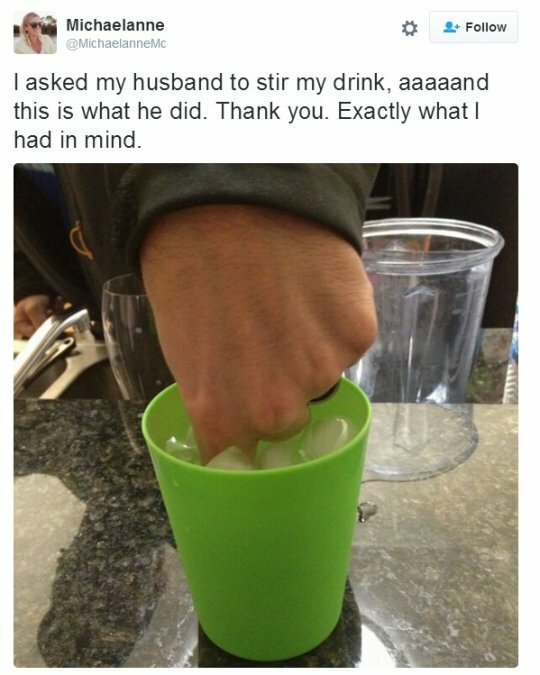 Ask someone to do something simple, like stir a drink, without explaining in just what manner you’re hoping for, and you’re liable to end up with some “help” that is technically what you asked for. Once again, this is precisely what she asked for. She never indicated that the potatoes had to be of roughly equal size and shape. 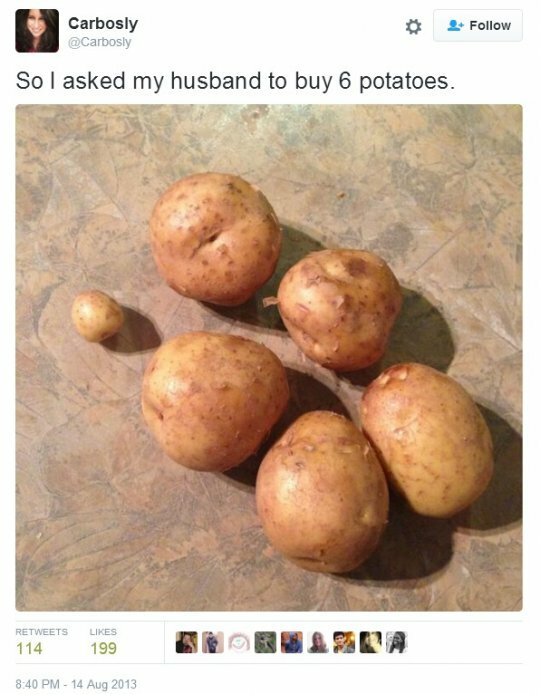 If anything, she should be thankful that they are six of the same kind of potatoes, and really, what’s a store doing selling that tiny baby potato on the end? Ridiculous. #8 - Learn to delegate responsibility. A pro-tip for our newlyweds out there. Some decisions, like what to eat, need to be made every night. If you carefully make sure you’re always the one to ask the other person, you can get out of having to make that decision for yourself. A brilliant stratagem. #9 - But remember to keep romance in your life. Always remember, just because you’re married doesn’t mean the passion has to go out of your relationship. Sure, living with someone every second of every day for the rest of your life takes the mystery out of things, but that doesn’t mean you can’t have a good time—just that you end up being lazier about it.